Vintage Old Undivided Back Postcard. Australia Australian. Port Melbourne Railway Pier, Railroad, Train, Steamers Steam Ships, Boats, Coat of Arms. 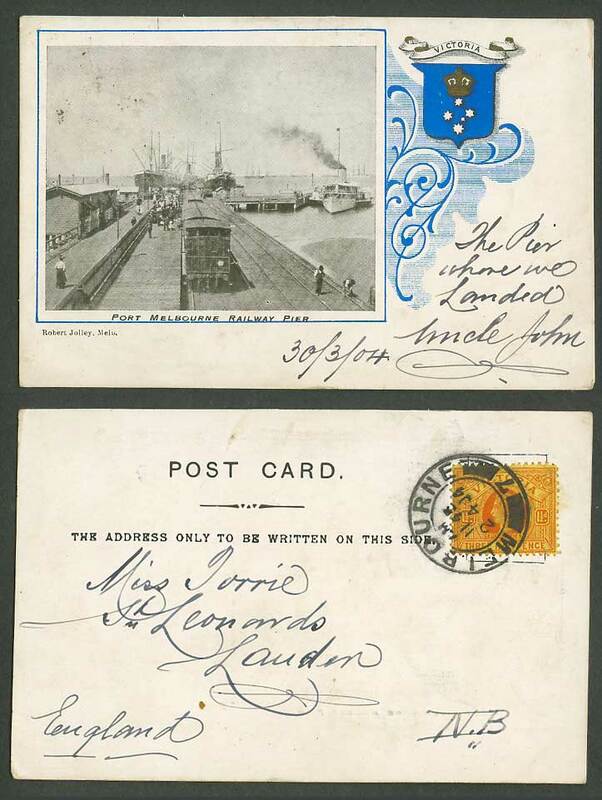 Postally Used in 1904 with Queen Victoria 1 1/2d stamp, tied Melbourne. Addressed to London England.